We are Information Technology Specialist company. Our main focus is working with companies that are developing application which needs to integrate with MYKAD or any hardware interface. We specialize in quickly and professionally getting your application integrated. From Hospital and Clinic Systems, Time Attendance, Visitor Management, Loyalty Card, Driving School, Seminar and Graduation Systems and most popular Hotel Systems. We can take your software to success! I REFER to the report MYKAD cannot be cloned, says NRD (The Star, Oct 30). The NRD director-general Datuk Jariah Mohd Said remarks that the MYKAD is a document of high quality which cannot be cloned and can only be tampered with by changing the photograph and details on the surface of the original card, while the information and security features are embedded in the card or chip. Wait for our special promotion early next year. New company launching! If you have any questions related to our product. Do send us short message here. You can use Maybank QRPAY to pay directly to our bank account! 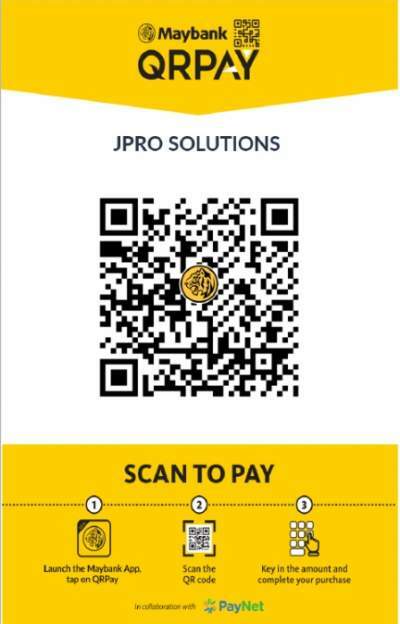 Download Maybank QRPAY Application from mobile phone.